Raquel Gatto joined Internet Society in May of 2013 as the Chapter Development Manager for The Americas. She will be based in São Paulo, Brazil. 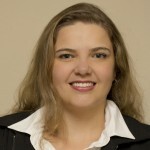 Prior to joining Internet Society, she had been an advisor at the Brazilian Network Information Center – NIC.br and also the Secretary Director of the Internet Society Brazil Chapter. Raquel is a lawyer focused on Intellectual Property, Domain Names, Privacy and Internet Governance issues. Currently a member of the Science and Technology Commission from the Law Bar Association (OAB/SP), dealing with law and technology issues. On the academic side, Raquel holds a Master’s Degree in International Law and is a PhD candidate focused on Legitimacy of Global Regulation for Internet Governance, at the Law School PUC, Sao Paulo. She has also been an Assistant Professor in States Theory and Political Sciences. Raquel speaks Portuguese, English, Spanish and French and is conversant in Italian. She loves to read a good thriller, drama or history book and is always looking for suggestions.